Nestled on top of a hill in south Redlands on approximately 3 acres is one of the few true adobe homes in Redlands. 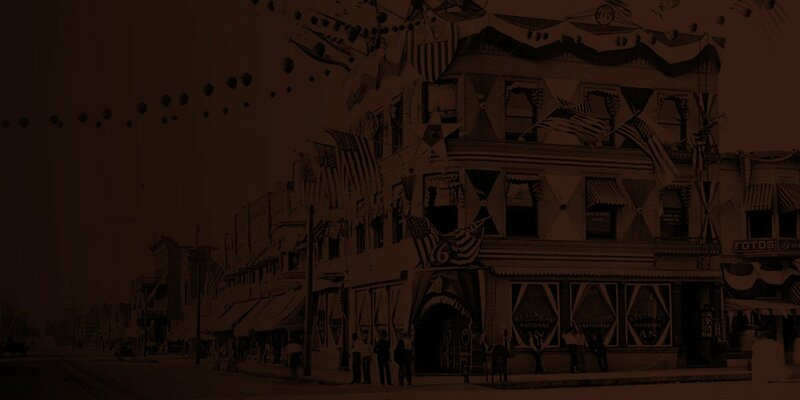 The Garden Court Subdivision of 1913-14 became an array of custom home sites developed by some notable families in Redlands such as Moore, Ford and Mullen. Lot No. 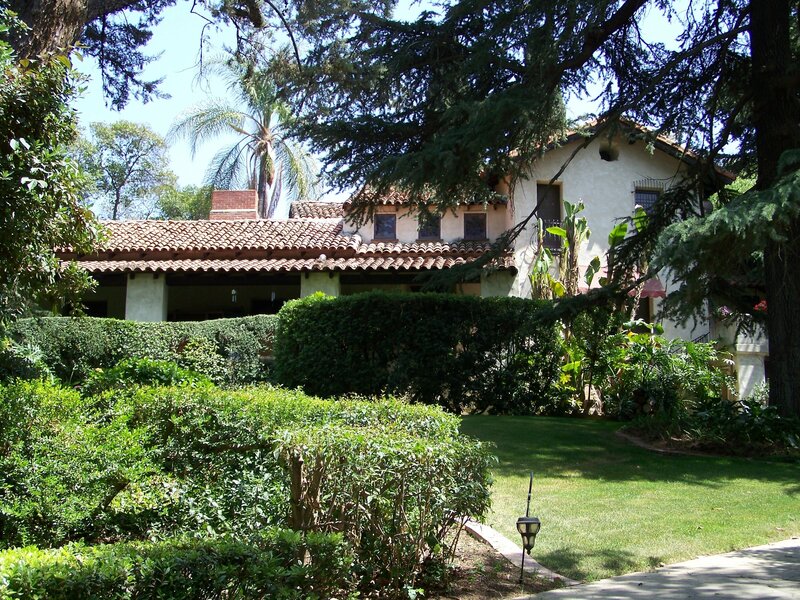 2 (later known as the property at 104 Garden Hill Drive) was begun in 1927, finished in 1928, featuring a two-story Spanish Revival-style house built of adobe made on the premises with the dirt from the cellar, under the watchful eye of owner and builder Cecil W. Brashears for the sum of $20,000 as per the Redlands Daily Facts Nov. 12, 1927. Both the raised foundations and 18-inch-thick walls were built of adobe by a local adobe expert who had served his apprenticeship in Mexico. The Dec. 20, 1927, building permit states the structures value at $10,000. Brashears is listed in the 1927 city directory as an orange grower. The house, in a city of Redlands Historic District, has a rectangular floor plan and an offset gabled roof topped with handmade Mexican roof tiles. The approach at the front is by staircases on either side of a traditional Spanish-style open veranda featuring exposed rafters, Spanish pavers and interesting ventilation details to the basement area. The single-arched and planked front door is of solid aged wood with unique custom iron hardware. The veranda features three styles of custom wall sconces including one style with amber mica shades. Windows are a combination of double hung, fixed and multi-pane French doors, including a Gothic-inspired, fixed-center pointed window facing the street on the east. Exposed rafters make up the eaves and in the gable ends are intricate ventilation openings, including one in a quatrefoil shape and the other a triangular stack of Spanish tile. Through the rough-hewn gate is a patio area with wall fountain, more pavers and an outdoor fireplace on the backside of the living room fireplace. The house has two chimneys on either end of the structure. The angular chimney at the patio area is Spanish stucco topped with brick. Overlooking the patio area is a sweeping exterior staircase with wrought-iron railing, wooden posts and paver stair treads leading to the second floor. Continuing along the back of the house you’ll notice the exterior buttresses supporting the house up to the second level. A single-level pool house is behind the main house and is built in the same Spanish style with exposed mortar between the bricks. The large rectangular pool, added in 1938, was one of the first private exterior pools in Redlands and initially was drained and refilled on a regular short-term basis before the days of pumps and filters. Next to the pool is a concrete badminton court with a tile mosaic decorative design on the wall. While the main house has a garage and full-height finished basement area, there is a detached carport area in a similar Spanish style design. The current owners added a guest house on the west side of the property. An interesting feature of the front yard is a series of three deep ponds, each cascading to the next and lined with river rock. Not long after the house was completed by Cecil and Margaret Brashears, the house became the property of Richard Burke of Pure Gold in 1933. In 1936 the house was bought by Harold and Jeanette Harris. Harold Harris was general manager of the Harris Company, and the house was the Harris home until 1970. The Redlands Area Historical Society congratulates the current owners, Dr. Hubert and Dixie Watkins, on their 2007 Heritage Home Award. – Researched by Janet Cosgrove and Kathleen Beall. Written by Kathleen Beall.